All Saints church is on the corner of Wiltshire Road and London Road, just to the East of the town centre, OS reference SU815688. 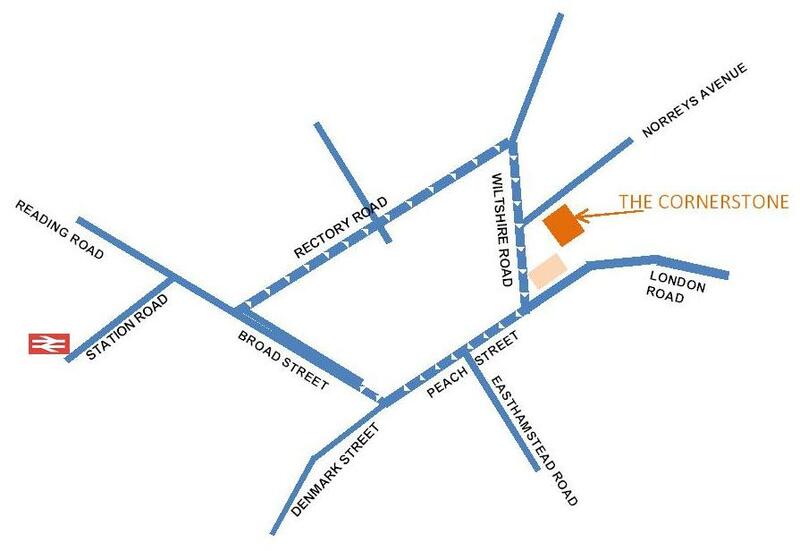 See a map of the vicinity. The Postcode is RG40 1UE . From the town hall, cross the road towards Boots, go left 20 yards and turn right into Rose Street. Enjoy the historic houses as you walk to the church at the other end of the street. From the station, follow signs for the town centre up Station Road, bend right past the Council offices, and then continue straight ahead along Broad Street. Just before you get to the town hall, turn left into Rose Street, as above. From the M4 junction 10 take A329M towards Bracknell and Wokingham. At the first junction, leave the motorway and go round the roundabout to the right heading towards the town centre along London Road. From Bracknell, join the above route at the roundabout. From the North (Twyford) (As you approach the town, you might notice Bell Foundry Lane on your left, but ignore this.) Follow signs for town centre, and at the traffic lights in Wiltshire Road turn left. Then turn right into Wiltshire Road. Norreys avenue is first left, before you get to the church. From the Reading Road, follow signs for Bracknell, which take you (with all through traffic) left at the traffic lights into Rectory Road, where you enter the one-way system,. past the Waitrose entrance and straight on at the lights, to turn right where you meet the route from the North, as above. From the South, from Barkham Road, go over the station level crossing, left past the station entrance and then turn right at the traffic lights when you meet the Reading Road (see above). From Finchampstead Road, after going under the railway bridges, signs for through traffic will take you past the station, as above. The church car park is in Norreys Avenue , on the North side, (opposite the churchyard, and to the right of where the photographer stood to take the picture). There is also some on-street parking in Norreys Avenue. From most directions, turn left into Norreys Avenue from Wiltshire Road before you reach the church, and the car park entrance is the first on your left. To get to Norreys Avenue if coming from the East, along London Road, turn right into Barrett Crescent just opposite the school and sports centre. Then turn first left into Norreys Avenue and follow it (quite a way) until you see the church. The church car park is just before the block of flats on the right (and is shared with them). 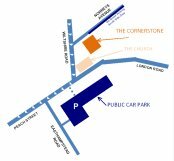 The Easthampstead Road car park is much bigger, and just as near to the main church entrance. It operates a pay and display scheme. During working hours the cost depends on length of stay. In July 2016 a fixed charge was introduced for overnight and Bank Holidays but it was later suspended during the town centre building work. For current details see the Council website . 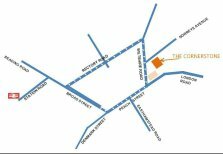 From London Road or Wiltshire Road, after passing the church, follow the one way system into Peach Street (past The Ship) and after 150 yards turn left into Easthampstead Road (opposite a parade of shops). The car park entrance is on the left, just after the Bingo hall on your right. Go to the far part of the car park. There is a path next to the block of flats in the picture that leads into Peach Street, where you turn right past The Ship to reach the Church. Did you know? : While Rev Bertram Long was Rector (1904 - 1933) 9 peals were rung in early February, almost certainly all dedicated to his birthday.